GO-KOT Cordura Camping Cot Set Giveaway Winner: Congratulations to Marcus L. of Cypress, TX, winner of the GO-KOT Cordura Camping Cot Set. Thanks to all entrants, and be sure to check the Dude homepage or Dude Giveaways section for your chance to enter our latest prize drawing. This giveaway concluded on December 10, 2017. If you go camping, get ready to GO-KOTting. Click here and enter to win a pair of Coyote Brown Cordura camping cots from GO-KOT! A $300 value! GO-KOT's reason for being? "To make the best damn cot on the market...and to make it in America!" So far, that reason has held up and flourished for 39 years. In 2018, GO-KOT will celebrate its 40th anniversary. In honor of turning 40, and starting in January, GO-KOT will begin using 100% Cordura brand fabric on their cots. But. They're giving Dude's giveaway winner a sneak peak at the new threads with this pair of Coyote Brown Cordura 1000-denier water repellant GO-KOTs, shipped in time for Christmas. 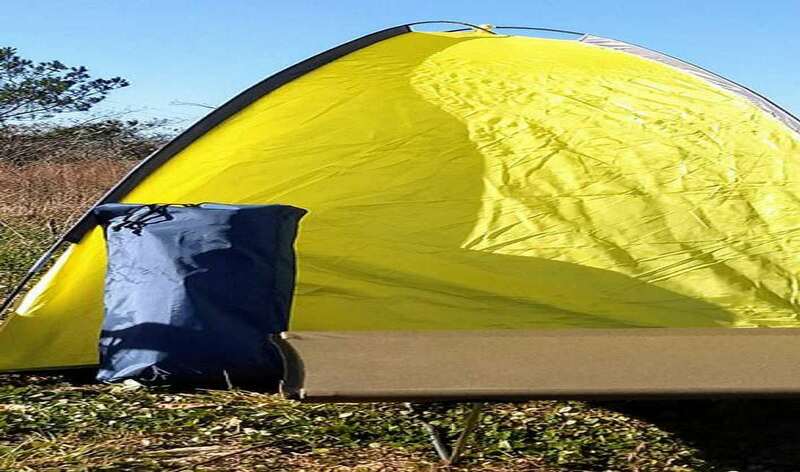 In addition to the Cordura hammock, a GO-KOT's campsite comfort and resilience is enhanced by its frame of thick aluminum side poles, galvanized spring steel legs, and high-impact hinges. It's also backed by a 3-year guarantee against defects in materials or workmanship. GO-KOT says cot setup and takedown should take you no more than 60 seconds. See the proof in action here. Our giveaway winner will receive both Coyote Brown Cordura GO-KOTs in the Regular size - 26" wide x 74" long x 8" tall assembled. 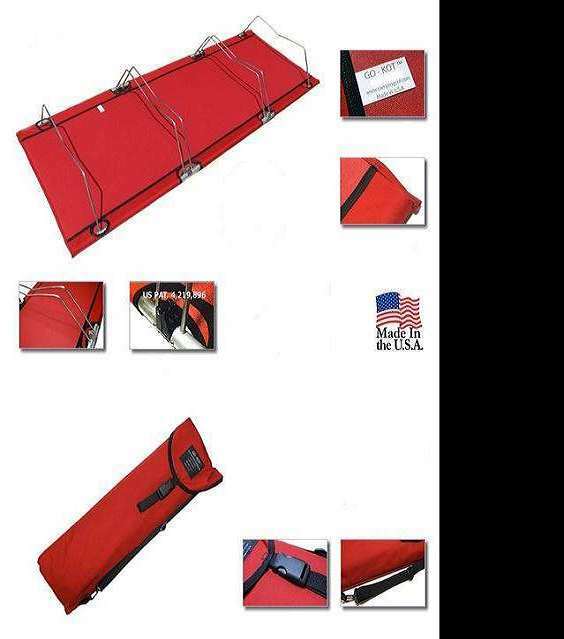 Cots will also come with an 8" wide x 28" long x 3" thick carry bag for transporting them disassembled. Each GO-KOT weighs 9 pounds and has a human cradling capacity of 350 pounds. To register, click here and fill out the GO-KOT Cordura Camping Cot SetGiveaway entry form. Or, if you're already a member of DudeIWantThat.com, when the magic entry form button appears, just click it to enter. Giveaway prize includes 2 x Regular size Cordura GO-KOTs in Coyote Brown, plus carrying bags. Retail value is $299.90. 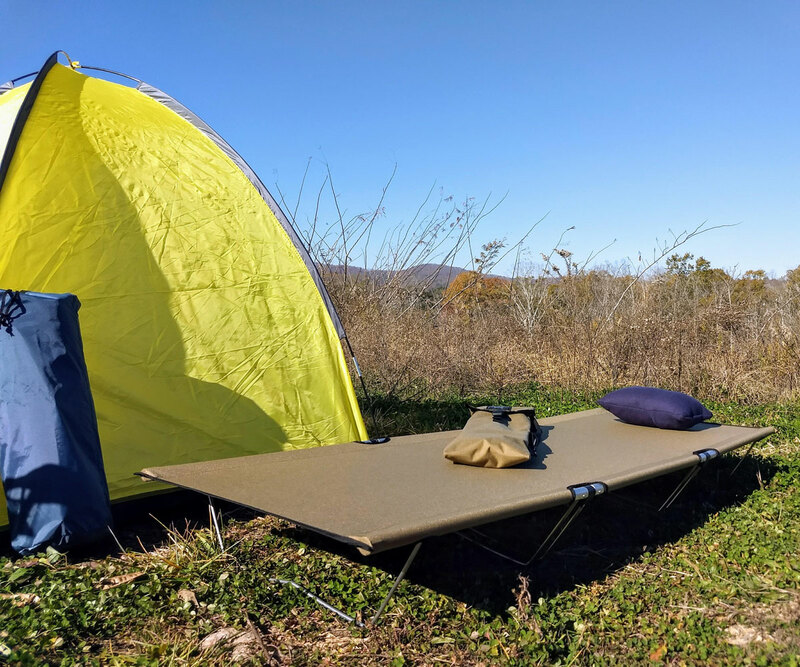 You'll have to wait a few more weeks for GO-KOT's official Cordura cover debut, but you can get your weary bones on their original camping cots here. These cots have 1000 denier nylon covers, and are still as ready to commune, and possibly battle, with the outdoors as you are. You'll have your choice of 9 nylon GO-KOT colors, including Coyote Brown.